Step 1 In a small bowl, sprinkle the yeast and sugar over one-half cup of warm water. Stir to dissolve and let stand at room temperature until foamy, about 10 minutes. Step 2 In a small saucepan, gently heat the remaining 2 cups water, molasses, vinegar, butter and chocolate until the butter and chocolate are melted, stirring frequently. Set aside to cool to lukewarm. In Recipes-list.com we have selected the most viewed recipes from category - Breads . Enjoy the best recipes specially selected for you! 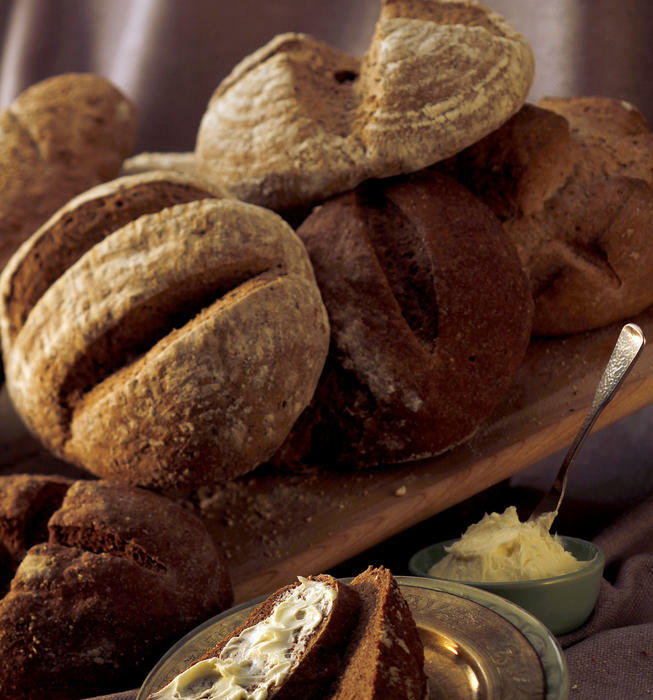 Black Russian rye bread is the right choice that will satisfy all your claims.